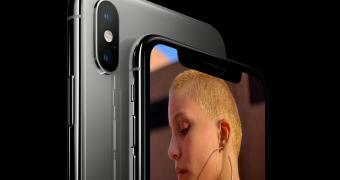 Apple has finally taken the wraps off its new-generation iPhone, and the star of the show is undoubtedly the iPhone XS Max coming with a 6.5-inch OLED screen. And while the iPhone XS Max is pretty much the largest and the most powerful iPhone, it’s also the most expensive in history, topping at $1,449 in the United States. Needless to say, this is just the US pricing, and the device will be substantially more expensive in other markets following the local currency rates and the additional taxes. iPhone XS Max starts at $1,099, so it’s even more expensive than what most analysts predicted. Earlier this year, it was rumored that iPhone XS Max would replace the iPhone X in terms of pricing in order to start at $999 for the base model. However, Apple hasn’t made any substantial changes in this regard, so the iPhone XS itself is available from $999, while the bigger sibling costs $100 more for the entry-level configuration.